Worldwide, hundreds of millions of children reach young adulthood without acquiring even the most basic skills – a phenomenon dubbed "the global learning crisis." Concurrently, few of the principals who oversee these schools exercise strong management practices, which include setting learning targets, using data to guide instruction, observing classrooms, and providing feedback to teachers. Technical Education in India: What Makes Good Governance “Good”? During a recent trip to India, we met with Professor Anil Sahasrabudhe, a dynamic, positive man who will likely remind you of a favorite uncle. In 2004, he was in the less satisfactory position of being director at the College of Engineering in Pune (COEP), located 150 km southeast of Mumbai. At that time, the institution had no financial or academic autonomy, no governance structure, and no administrative freedom. Ten years later, in 2014, the institution had turned around, garnering national awards and recognition. What helped spark the change? While several factors made an impact, Professor Sahasrabudhe mentions good governance first. In my last blog I wrote about how empowering parents helps increase accountability in schools in rural Mexico. Although I said evidence was sparse, it is accumulating. In Africa, a number of rigorous impact evaluations are underway and starting to report findings. 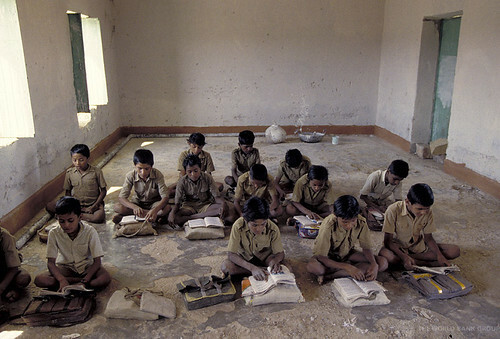 How to make schools accountable for results is a hot issue in both rich and poor countries. The debate is often highly charged and ideological -- witness the discussions in Washington DC around the reforms promoted by former Chancellor Michelle Rhee. It is thus refreshing when new and rigorous evidence is used to bring some light into the debate. Building on over six years of hard work by World Bank teams working across several countries and regions, Barbara Bruns, Deon Filmer and Harry Patrinos have produced a major volume entitled Making Schools Work: New Evidence on Accountability Reforms. Making Schools Work is part of the new Human Development Perspectives book series that will launch early next week. An initiative of the Human Development Network, the series will present key research in the field of human development. By linking evidence to policy, publications in this series will help developing countries and their partners get more mileage and impact out of their investments in human capital. I was in the Indian state of Madhya Pradesh recently. Madhya Pradesh, or MP, as most Indians know it – is a big state in the middle of the country. It also has some of the poorest human development indicators in the country. Some distance from Gwalior, we get off at a large village on the side of the road and start walking away from the highway towards the villages in the interior. Eventually, we cross a stream and reach the last village before a hill stops the road from going any further. We are in a tribal village, with silos for community grain, a recently constructed Panchayat (the local governing body) hall and a decrepit school. The schools have been closed down after the walls collapsed and snakes were discovered in the classroom. The teachers now hold classes in the temple under a large banyan tree.